Common Casino, you can cast chips in the Casino Roulette for hero shards, equipment, artifacts, gold and spirits. Idle Heroes Strategy Game Guide. You should not spend Casino Chips on a regular basis, you should deposit them for the Casino Event period. Then you will have the opportunity to win additional prizes. In the casino as a prize, there are four 5 Stars Heroes. Lutz (Shadow), Mirage (Fortress), Fat Mu (Abyss), Dragon Slayer (Forest). But the chance of drawing them is very small so do not waste Chips for free. Common Casino is good source of Spirit and Gold. 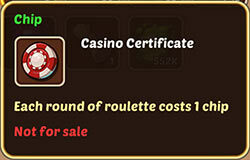 Casino Chips can be purchased by gems in the Casino, Market, Event Packages and they can be claimed in some special events. "buy all chips dont use more than 2 chips a day, save them for Event"
Turn Roulette once, spend Casino Chip to win one of the prizes. This is the worst way to consume Casino chips. 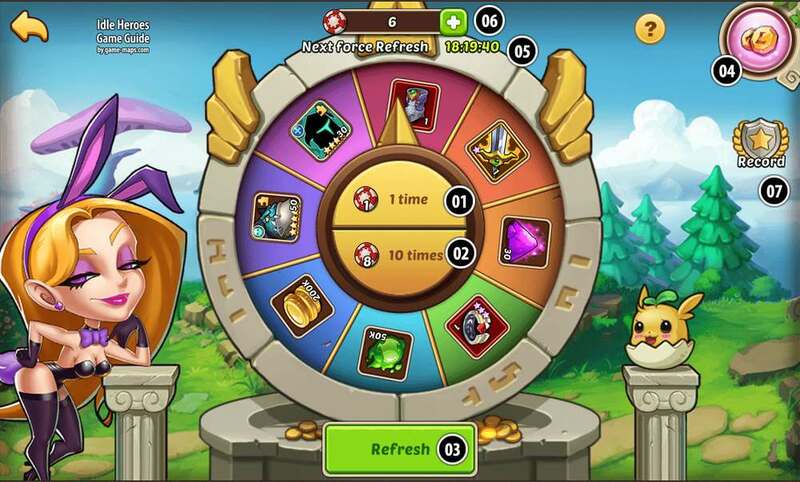 10 spins for 8 chips, it is best way to use Casino. But wait with it till Casino Event. Casino is automatically refreshed after 24 hours per day. The refresh time will reset if Casino is manually refreshed. You can manually refresh it ever 3 hours for free and instantly for 50 Gems. 05 Time to force casino refresh. It is not very smart. Do it only if you have to. List of last good spins.